The new vision will not only include updated packaging designs, but will extend to a redesign of the firm’s website and advertising campaigns. 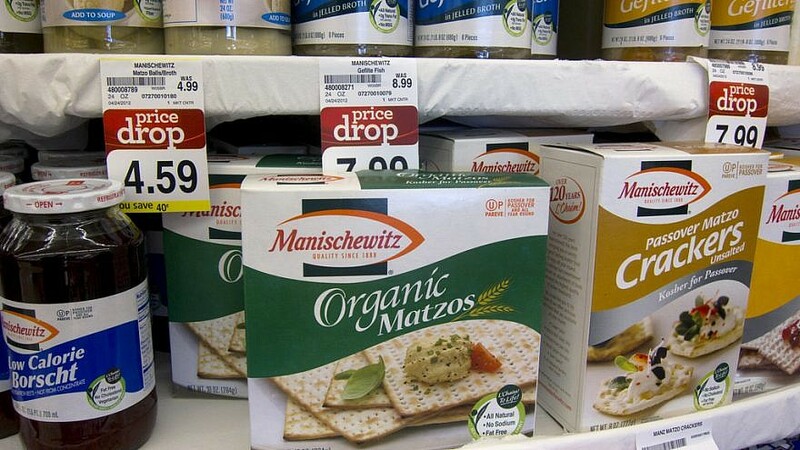 Manischewitz products. Credit: Robert Couse-Baker/Flickr. (March 20, 2019 / JNS) From wine to macaroons to matzah and canned chicken soup, Manischewitz, the largest marketer of kosher foods in North America, unveiled a new look on Wednesday. The new vision will not only include updated packaging designs, but will also extend to a redesign of the firm’s website and advertising campaigns. As part of its commitment towards modernizing the Manischewitz brand while still retaining its classic roots, the company, founded in 1888, will also be releasing several new products to be announced after Passover.